What can we do for you? We want to find out what is your motivation to come for treatment. 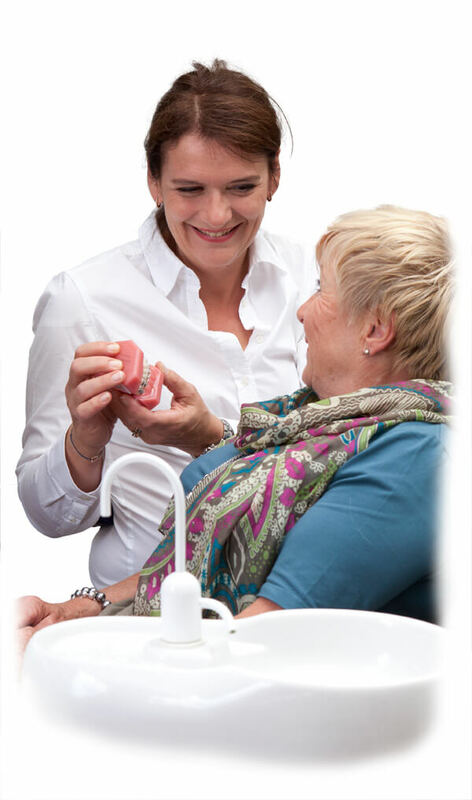 This is the basis we use for assessing the situation with respect to the position of your teeth and your jaws and we also inform you about the achievable effect of an adjustment. Of course we also suggest the type of treatment recommendable for you. When you come for the second session, relevant clinical findings will be established (X-ray – panorama and teleradiography), photo documentation, bite impressions of upper and lower jaw). A general medical examination is also required. After a detailed analysis of the findings, we set up an individual treatment regimen. We also explain to you the treatment plan and the ultimate target. In most cases the appliance may already be inserted or handed over to you. At intervals between six and eight weeks the brackets are checked in terms of progress and further activated. These regular check-ups are essential (appointments missed prolong the duration of treatment!). Maximum success of treatment includes thorough dental care, regular caries check-ups and oral hygiene done by the dentist. In order to stabilize the ideal result of treatment, we insert a so-called fixed retainer after the close of treatment (this is an invisible wire which is applied to the inside of the frontal teeth). Another option would be to use brackets to be worn only during the night. This also functions as a stabilizer. We recommend an annual retention check in our office.